My friends, Kim and Andrew, were kind enough to include a dish of canned jellied cranberry sauce on their Thanksgiving table for me. I love canned jellied cranberry sauce. I also brought canned jellied cranberry sauce to my class's annual Thanksgiving feast and was shocked to learn that 13 of the 18 students present had never seen the stuff. They were fascinated by the sloughing sound the cranberry sauce made as it left the can, as well as the way to retained the can's shape, right down to the ridges. Despite their fascination, only a handful of kids tried my cranberry sauce. Most thought it looked disgusting. One kid said it looked "processed and fake." None liked it very much. Canned jellied cranberry sauce not very good. I think it's delicious, but I know objectively that it's not. I have a nostalgic affection for the food, but in reality, there are far better cranberry sauces in the world. How difficult would it be for me to find this food in a restaurant? Restaurants are the perfect labs for determining the tastiness of a food. If consumers objectively love a food, I will find it on a menu somewhere, and with relative ease. Restaurants want to make money, and they make money by satisfying their customers. The best foods will eventually land on menus. I can't find canned jellied cranberry sauce anywhere. Therefore, it ain't good. The same can be applied to many nostalgically or culturally appreciated foods. My wife, for example, is Jewish. Foods like kugel and gefilte fish are beloved by her people. I happen to know that neither of these foods are particularly tasty, however, because you cannot find either of them in restaurants. No one wants to eat kugel or gefilte fish unless they have been eating them on religious holidays or family gatherings all of their lives, because these foods are nostalgically tasty. 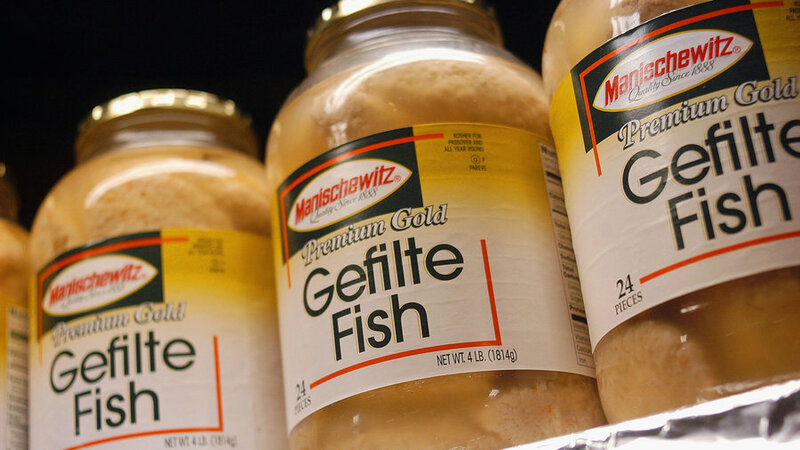 Actually, in my experience, most Jews don't like gefilte fish either, but perhaps my sample size is small. The opposite is true for a food like challah, a bread traditionally eaten by Jews. I can find challah on many menus. It is served as French toast in chain restaurants as ubiquitous as IHOP. It's used for sandwiches in many diners and sandwich shops. Challah is an objectively delicious food, and I know this because it has found its way off the Jewish holiday table and into the mainstream diet because it actually tastes good. Matzo ball soup is similar. It's little more than chicken soup with a matzo ball in it, but still, I see it on menus. It's a food that non-Jewish people love. I have a friend who likes to bring green bean casserole to potluck gatherings. She says it's delicious. When probed, I quickly determined that she has been eating green bean casserole all her life. It's her grandmother's recipe. Of course she likes green bean casserole. I's nostalgically delicious. But is it actually good? I have never seen green bean casserole on a restaurant menu. So no. It's not actually tasty. It's only nostalgically tasty. Besides, of all the things you could put in a casserole, why green beans? By the way, if you look into the history of green bean casserole, you'll discover that it was invented by the Campbell's Soup Company in 1955. Convenient since cream of mushroom soup is one of the primary ingredients. The inspiration for the dish was "to create a quick and easy recipe around two things most Americans always had on hand in the 1950s: green beans and Campbell’s Cream of Mushroom Soup." Find two things that most Americans have in the pantry and mix them together. Not exactly the makings of a delicious dish. There will be people who push back against my test for objectively delicious food. They will argue that food need not be in restaurants to be objectively tasty. I understand why they feel this way. It's difficult to come to terms with the idea that the noodle pudding or green bean casserole that you and your family adore is not very tasty. I get it. I feel the same way about canned cranberry sauce. It's what my mother and her mother served at Thanksgiving every year, and it's fantastic. I love it. My whole family loves it. I told my wife that I want to eat it more often. Nostalgically delicious. But that's okay. It doesn't make me like it any less, and on Thanksgiving, there is always more than enough for me.